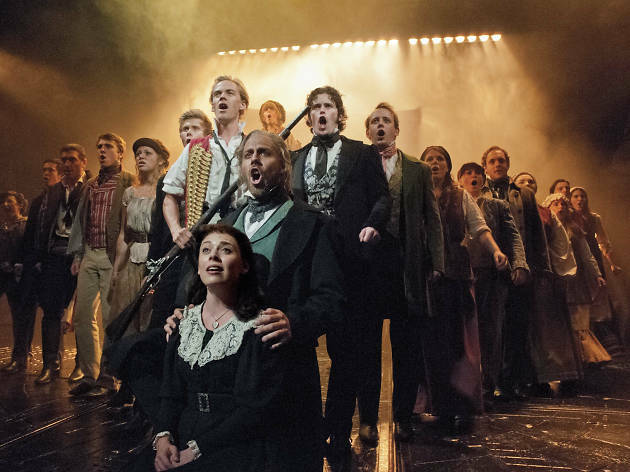 It’s been a difficult month for London’s longest-running musical ‘Les Misérables’. First it got slagged off repeatedly by Andrew Davies, the creator of the new BBC adaptation of Victor Hugo’s novel. Then it got slagged off by the Obamas. And now fans and former cast members have turned on the show (somewhat) following news that there’s just six months left to enjoy ‘Les Mis’ in its present form. That’s because it’s due to leave the Queen’s Theatre in July while superproducer Cameron Mackintosh has the joint done up, and when it goes that will be farewell to the staging it’s had since it premiered at the Barbican in 1985. It will move to the Gielgud Theatre for approximately four months, and when it goes back to the Queen’s its iconic revolve staging will have gone, replaced by a 2010 touring staging that has replaced the original production everywhere else in the world. The new version was controversial from the off: in a punchy review from the time, original director Trevor Nunn pretty angrily described it as ‘a variant production that owes everything that’s good about it to the original production’. Since the announcement that the revolve was being ditched in London, original cast member Frances Ruffelle has expressed her sadness in an Instagram post (see below) and a petition has been launched to keep the original staging that is, as of right now, just shy of 2,000 signatories (but climbing). Let’s be absolutely frank: Cameron Mackintosh is not going to pay attention to a four-figure petition, and the amount of footfall ‘Les Mis’ is liable to lose just because the stage doesn’t spin anymore is going to be pretty negligible. So it looks very much like the end of an era: it’s Six Months More rather than One Day More, but an iconic London institution is coming to an end. 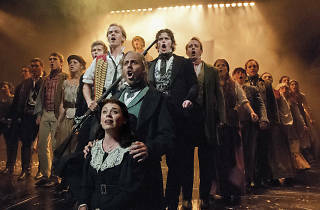 ‘Les Misérables’ is at the Queen’s Theatre until Jul 13. Andrzej Lukowski believes the three greatest American tragedians of the 20th century are Arthur Miller, Eugene O'Neill and Bruce Springsteen. You can follow him on Twitter @MrLukowski.